These superb glass golf awards are offered at a discounted price while stocks last. 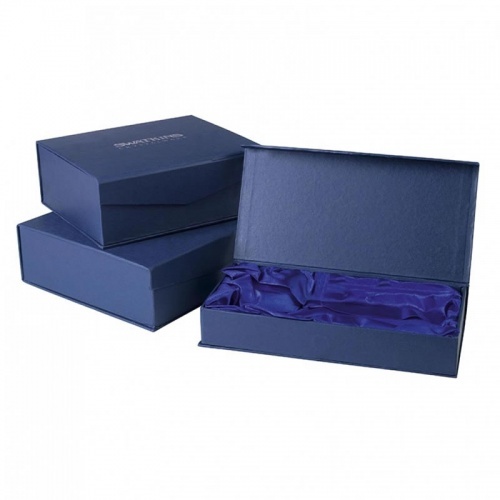 Crafted in sapphire blue glass they feature a rectangular plaque inset with a glass golf ball, with a gentle taper in the thickness of the body, and mounted on a bevelled glass base. 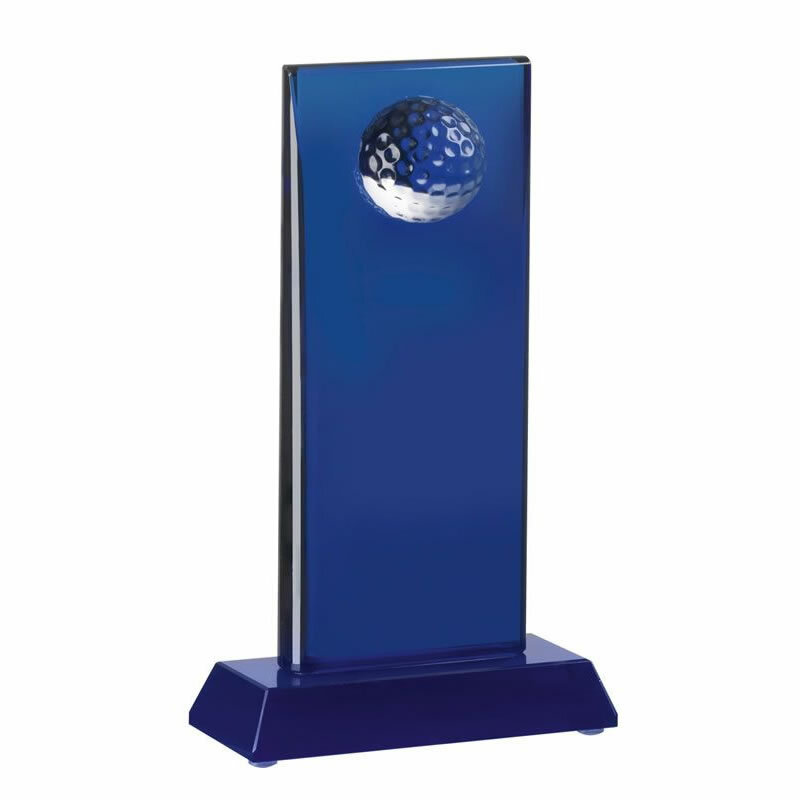 Standing 7.75in (200mm) tall, the can be engraved on both the body of the award and/or on the glass base.